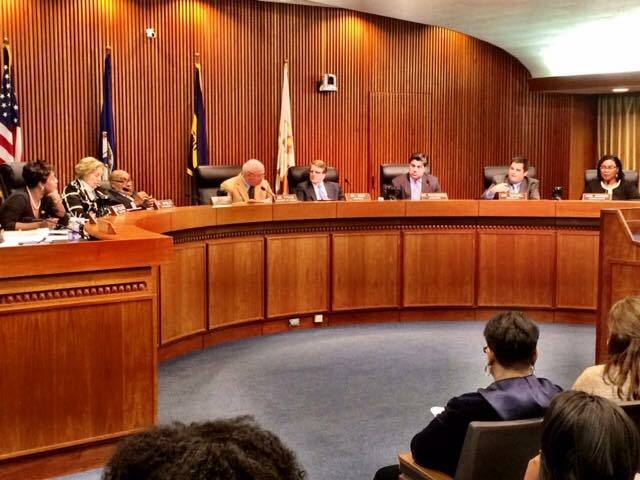 The majority of Norfolk City Council – 5 members – voted in favor of a ward system for our elected school board. I’ll have my say in my next op-ed. For now, take a few minutes to watch speakers and the council have their say – notice I didn’t say “discuss” – on this issue last night. The section on the elected school boards begins at about the 48-minute mark. That vote was illegal. The city can’t pass an ordinance that directly conflicts with the state code which still says we have an appointed school board. Senator Alexander has a bill in right now to change it and it has been amended to outline the method of transition regarding the staggered terms. Where there is a conflict, the state code controls. If/when Senator Alexander’s bill passes, it will contradict the city ordinance because they contain different language on the transition. Council should vote on this issue again. If Senator Alexander’s bill doesn’t change again, they will be forced to or they will be forced to accept the language in the state code and not in the ordinance they passed. Tommy Smigiel asked for a legal interpretation or view of the council’s action in light of Kenny and Daun both proposing related legislation. This is will be interesting as Max points out once their bill(s) are finalized and were it to pass. “Something” here does not synch up to say the least. I skipped right past that to the comments when I first watched it. Great job councilman Smigiel. I talked to the same LIS lawyer Pishko did and he told me the opposite, that the GA absolutely has to take action to remove the existing code section about an appointed school board before the council can pass ordinances implementing the referendum. That things are out of sync is completely the fault of Fraim and Pishko. From a functional perspective, they could get away with doing what they are doing, but only if no one decides to file a lawsuit challenging the process. Getting away with what you can only because no one has the money to sue is the Norfolk way after all.